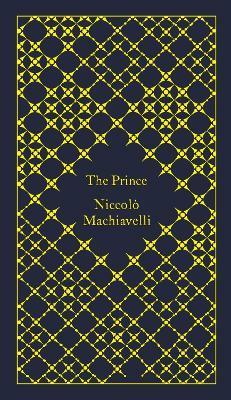 Niccolo Machiavelli's brutally uncompromising manual of statecraft, The Prince is translated and edited with an introduction by Tim Parks in Penguin Classics. As a diplomat in turbulent fifteenth-century Florence, Niccolo Machiavelli knew how quickly political fortunes could rise and fall. The Prince, his tough-minded, pragmatic handbook on how power really works, made his name notorious and has remained controversial ever since. How can a leader be strong and decisive, yet still inspire loyalty in his followers? When is it necessary to break the rules? Is it better to be feared than loved? Examining regimes and their rulers the world over and throughout history, from Roman Emperors to renaissance Popes, from Hannibal to Cesare di Borgia, Machievalli answers all these questions in a work of realpolitik that still has shrewd political lessons for today. Niccolo Machiavelli (1469-1527) was born in Florence, and served the Florentine republic as a secretary and second chancellor, as ambassador and foreign policy-maker. When the Medici family returned to power in 1512 he was suspected of conspiracy, imprisoned and tortured and forced to retire from public life. His most famous work, The Prince, was written in an attempt to gain favour with the Medicis and return to politics. Niccolo Machiavelli was born in Florence in 1469 of an old citizen family. In 1498 he was appointed secretary and a second chancellor to the Florentine Republic. During his time of office he accompanied Julius II on his first campaign of conquest. In 1507, as chancellor of the newly appointed Nove di Milizia, he organised an infantry force which fought at the capture of Pisa in 1509. Three years later it was defeated by the Holy League at Prato, the Medici returned to Florence, and Machiavelli was excluded from public life. He retired to his farm near San Casciano, where he gave his time to study and writing. After a brief return to public life, he died in 1527. Tim Parks was born in Manchester in 1954, studied at Cambridge and Harvard, and moved to Italy in 1980. His translations from the Italian include works by Alberto Moravia, Italo Calvino, Roberto Calasso and Antonio Tabucchi. He currently lectures on literary translation in Milan. He has written a number of novels, the most recent of which are Europa and Destiny, a collection of essays, Adultery and Other Diversions, and an academic work Translating Style. His account of provincial life in Italy, Italian Neighbours, was an international bestseller.